Okay, I will admit, I hate that it's already getting below freezing here in Kentucky. What happened to fall? We are supposed to be having beautiful 40 – 60 degree weather, not wondering if it's about to be starting to snow! Well, if I like it or not, the cold weather is here, meaning its also time start bringing out my beloved Crock-Pot for some yummy hot dishes. Lately, however, I have been looking for some motivation when it comes to new slow cooker recipes. After a quick look on Amazon, I found that there are some amazing cookbooks, all under $3! If you are someone who loves cheap cookbooks, we think you will love our top 10 slow cooker cookbooks list! Out of all the slow cooker cookbooks on our list, this is the best deal! You can currently get Slow Cooker Sensations for FREE! Originally $2.99. Choice abounds in this unique collection of Slow Cooker recipes. Choice chicken meals, beef specialities, meatless vegetarian options, and a rare selection of desserts for the slow-cooking sweet tooth. Meal planning is a snap with this delightful recipe book. Looking for slow cooker cookbooks that include comfort foods? Get COMFORT FOOD : 30 Recipes for Quick & Easy Home-Cooked Low-Budget Meals for just $.99. Would you like to cut your grocery budget, while serving healthy, tasty meals that can be cooked in 30 minutes or less? Looking for some yummy slow cooker cookbooks to make preparing for the holidays a bit easier? You can get 35 Slow Cooker Side Dish Recipes: Delicious Side Dishes to Make Your Main Course Shine for only $.99. Finding slow cooker cookbooks that are vegetarian friendly can be very difficult! When I discovered this cookbook, I was pretty excited! You can get Vegetarian Slow Cooker Cookbook: Delicious and Convenient Vegetarian Eating for only $.99. This book offers you healthy options for the slow cooker. From main dishes to desserts, you have the option of giving your self more free time. Each recipe has been adapted to be vegan or vegetarian, helping you lead a healthier lifestyle. First you will find soups and stews, followed by main dishes, then dishes to eat on the side and finally desserts. Enjoy these delicious recipes your body will thank you for. While I couldn't imagine using my Crock-Pot all year, there are some great recipes in thie slow cookder cookbook! Get 365 Days of Slow-Cooking for only $.99. Get The Incredible Slow Cooker Cookbook for just $.99. The Incredible Slow Cooker Cookbook is a slow cooker (also known as a Crock-Pot) lover's dream. With over 57 recipes, this book is chock-full of tasty meals that are easy to prepare. This is sure to become your go-to resource time and time again. Just released on October 20th, get Mom's Crock Pot Cookbook: Delicious Meals for Every Gathering for only $2.99! The popularity of crock pot cooking is based on three things: convenience, cost and variety. Over the years, this form of cooking has become a standard method of meal preparation in many homes, with more followers being added daily. Our Rock That Crock Pot Report is designed to introduce the novice to slow cooking and to provide the more experienced cooks with more recipes to add to their collection. In this report, you’ll find recipes ranging from appetizers to desserts, all of which are easy to prepare with readily available ingredients. You’ll find the nutritional analysis helpful in diet control and the finished product superb, regardless of the dish or the occasion for which you’re preparing it. While I haven't used this slow cooker cookbook yet, it does look very good! You can get the Kindle Book 341 Crockpot Recipes: Slow Cooker Recipes for only $2.99. Looking for something different for dinner today? Something you can enjoy with the ingredients you have currently in your pantry. These easy to make slow cooked meals are tasty and delicious. The book contains 341 recipes you can start on right away. These include appetizers, casseroles, desserts, main dishes, side dishes, soups & stews and even breads, butters and sauces for that something extra for your meals. Get the Healthy Slow Cooker Cookbook (Healthy Slow Cooker Recipes That Keeps You Full & Help You Lose Weight) for just $2.99! Using the crock pot (a.k.a. slow cooker) to prepare meals is one of the simplest way to prepare healthy and delicious meals. If you're a busy mum like me, using the crock pot is the way to go. Just set the timer for the crock pot and leave for the day, expect a sizzling hot meal upon returning home. This cookbook is filled with unique and delicious one-pot meals that are very healthy and easy to prepare. Whether you are a complete newbie to slow cooking or an experienced crock pot user, you will find the recipes healthy and scrumptious yet simple and easy to prepare. You will be AMAZED by our best healthy slow cooking recipes for you that I'm sure you and your family WILL love, that's my promise! Looking for some Paleo friendly slow cooker recipes? You can get Paleo Crock Pot Recipes: For Busy Moms & Dads (Slow Cooker Series) for $2.99. Looking for some quick and tasty Paleo crock pot recipes? This book has you covered. You'll find everything from chicken to beef, pork, lamb and seafood dishes. This is such a good deal! I am really considering getting these because I need some new slow cooker recipes. I love slow cookers. No fuss. Just toss everything in and forget it. You know, I never would've thought to check the Kindle store for cookbooks. That makes perfect sense! This is great because I'm terrible at cooking and love crockpot meals because they're easy, no fuss, and always delicious. I love my slow cooker and I bought one for my best friend – I may get some of these books…the price is right. I like the sound of hte veggie cook book. Only one problem: I don't have a slow cooker! Maybe Santa will be nice to me this year?! We just got our first crock pot and I am super excited to use it. I can't wait to try out some new recipes! 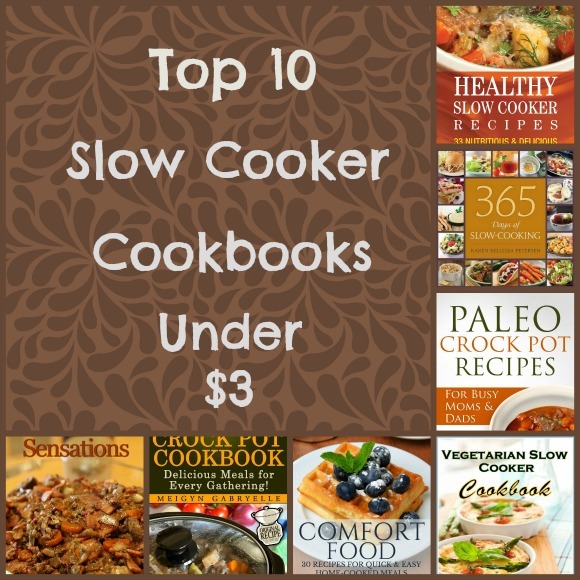 What a great collection of slow cooker recipe books and all of them at GREAT prices. Thank you for informing us about them. This is definitely the time for good crock pot meals! Thanks-always looking for good slow cooker recipes! Thank you SO much. I have been needing some more crock-pot recipes and these cookbooks look great!! Thanks again! Love using my crock. Gotta check these out. I need a new crockpot. The ceramic broke on mine. I may have to get into e-books just for the recipes. I was just looking at slow cooker books the other day! I always decide not to buy them though because I am afraid i wont like the recipes inside and i can always look online. But now I know of some to look for, thanks! "Comfort Foods" sounds really interesting, I'm a *potatoes & gravy with rolls* kind of girl!! We just got a crock pot and my hubby is looking at the cook book and thinking of things he can make in it. I need to lose weight and am thinking of going to the Paleo diet, so I am thinking of getting the Paleo crock pot cook book. 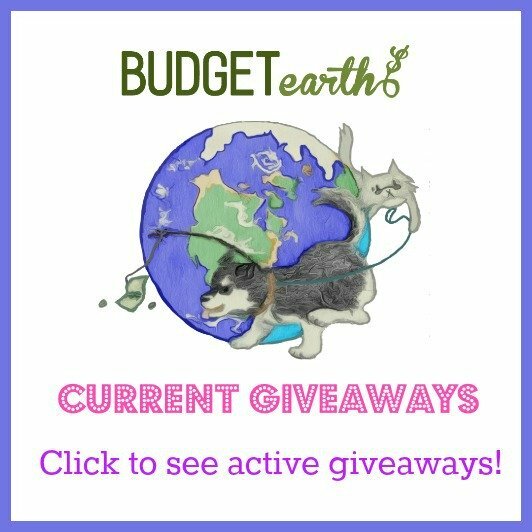 Thanks for the great post!! I usually cook the same thing in my crockpot so I would love the Healthy Slow Cooker recipe book. This would be perfect to recommend some of the recipes to clients. Love my crockpot, but I ususally cook the same five or six meals in it. A crock pot cookbook would be a great one to have, to try something different. Thanks, I've been needing more crockpot recipes! Thank you for providing cookbook reads for slower cooker recipes. I am always looking for new cookbooks to try another great recipe. And, these are so inexpensive! I love cooking in my crockpot. I love exploring new recipes. It's so much simpler to put something in the slow cooker and have dinner ready at the end of the day. I can see 4 of these books I want. I would like to find more party recipes too. Thank you. I love my slow cooker just throw everything in and forget about it until dinner. I'll be sure to check out those books you listed. Need a slow cooker to make some of these. Great post. Cooking would be easier. I love slow cooker meals! Thanks for this post! Boy oh boy, perfect post for me! A lazy cook. Time to whip out my slow cooker. I think I do have one. Didn't know I could make so many things with a slow cooker too. Thanks for sharing! I love slow cooker recipes. Some evenings as a single mom it’s all I can do to make it in the kitchen much less make a meal, thanks for the cookbook suggestion it will help me a lot.